Josh Silverman has improved the lives of many clients by securing favorable settlements through legal representation in a variety of practice areas. Attorney Josh Silverman is a personal injury attorney who practices in the museum district in Richmond, VA. 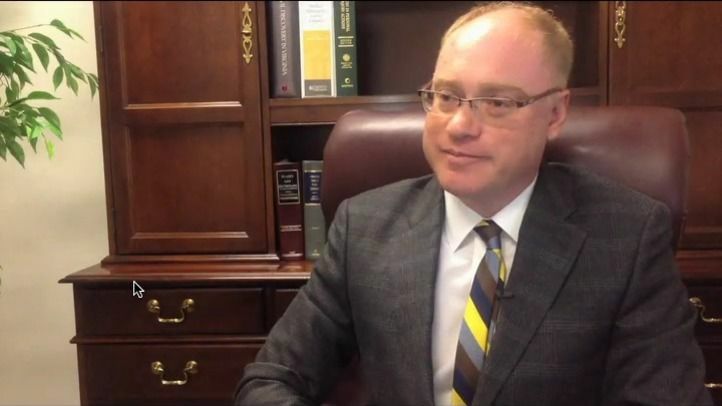 He has been recognized in a "Virginia Super Lawyer" every year since 2013 and was selected as a 2015 Top Rated Lawyer in Healthcare Law based on his AV Peer Review Rating in Martindale-Hubbell©. Mr. Silverman is a Richmond native who has been practicing Virginia law for 20 years. He and his team at Silverman Law Firm LC focus on providing clients with individualized attention. He limits his practice to primarily personal injury and medical-related injuries including medical malpractice, nursing home abuse, auto accidents, bicycle accidents, and product liability. A tragic case involving the death of an 18-year-old girl was fully investigated by Mr. Silverman and an accident reconstructionist. Together, they proved the accident was caused by another's negligence. A client suffered debilitating injuries from an auto accident. Mr. Silverman's meticulous handling of the case allowed the client to obtain compensation for his injuries and ongoing medical care. After an insurance company offered an unfair settlement, Mr. Silverman identified expert witnesses to testify on the victim's behalf to ensure just compensation. Mr. Silverman closely reviewed all aspects of this hit and run collision and a favorable settlement for the victim. Josh Silverman is an esteemed personal injury attorney with over 18 years of experience. He carefully chooses each case in order to be able to provide individualized attention to each client. Josh Silverman is a trial lawyer in Richmond, VA, and has handled complex cases in state and federal courts throughout Central Virginia, Northern Virginia, and Hampton Roads/Tidewater. His staff is educated and diligent in their work, and Mr. Silverman trusts them with even the most sensitive case files. Sophia Sam is an experienced paralegal at Silverman Law Firm and is an invaluable asset to the firm. Finally, our comfortable and accessible office makes meeting with Ms. Sam and Mr. Silverman convenient and easy, so you can remain focused on your recovery. Medical personnel are charged with caring for and protecting their patients, but their preventable medical errors can be fatal. Mr. Silverman represents victims in complex medical malpractice cases, including surgical errors, medication errors, falls, misdiagnosis or delayed diagnosis, and other matters involving physician, pharmacy, nursing and hospital malpractice. Mr. Silverman helps victims obtain full compensation for highway accidents and other serious motor vehicle crashes. These incidents can involve defective auto parts, drunk drivers, texting while driving, hit and run, pedestrians, motorcycles, bicyclists, or fatal trucking accidents. Mr. Silverman represents automobile accident victims throughout Virginia. Under Virginia law, you have the right to trust that products are safely designed and manufactured. Mr. Silverman will conduct a thorough investigation of all parties who may be legally responsible for injuries caused by defective products and medical devices, and present a settlement to the manufacturer in order to collect due compensation for your injuries. Nursing home patients and residents of assisted living facilities are entitled to be treated with dignity and compassion. We offer counsel to victims of nursing home and assisted living facility abuse, making sure that negligent caregivers are held accountable for their actions and victims receive just compensation.